National security, so the narrative goes, is a reason why the U.S. enforces the Foreign Corrupt Practices Act. However, as a matter of law, and seemingly as a matter of practice, national security is a reason not to enforce the FCPA. After detailing some relevant background information, this post highlights additional information recently revealed about a historical FCPA enforcement action which demonstrates that national security has always been a reason not to enforce (or not enforce to the fullest extent) the FCPA. The way that corruption undermines the rule of law and destabilizes economies; the link between corruption and terrorism and the attendant threat to global security; the erosion of the free and fair market and, with it, the public’s confidence.” (See here ). “Anti-corruption prosecutors everywhere are driven by similar principles: bribery of public officials is wrong, it has a devastating effect on our national security and civilized societies, and intentional violations of anti-corruption laws must be treated as serious crimes.” (See here ). “You may be asking yourself why the U.S. Justice Department is involved in the fight against corruption abroad. In fact, there are people who claim that taking aim at foreign bribery puts U.S. companies at a competitive disadvantage in countries where bribery is just business as usual. The threats posed to the United States by international corruption, however, cannot be overlooked. Foremost, corrupt countries are less safe. Corruption thwarts economic development, traps entire populations in poverty, and leaves countries without a credible justice system. “[F]ighting foreign corruption is not a service we provide to the global community, but rather a necessary enforcement action to protect our own national security interests and the ability of our U.S. companies to compete on a global scale.” (See here ). Certain commentators  have hoped on this bandwagon and pointed to national security as a reason for the general increase in FCPA enforcement (while ignoring the more obvious reasons). The narrative is tempting. Terrorists threaten national security. Terrorists are corrupt. FCPA enforcement actions target corruption. Therefore, FCPA enforcement actions advance national security. However, as highlighted in several prior posts including here , national security is explicitly mentioned in the FCPA as a reason not to enforce the FCPA. “(3)(A) With respect to matters concerning the national security of the United States, no duty or liability under [the FCPA] shall be imposed upon any person acting in cooperation with the head of any Federal department or agency responsible for such matters if such act in cooperation with such head of a department or agency was done upon the specific, written directive of the head of such department or agency pursuant to Presidential authority to issue such directives. Each directive issued under this paragraph shall set forth the specific facts and circumstances with respect to which the provisions of this paragraph are to be invoked. Each such directive shall, unless renewed in writing, expire one year after the date of issuance. Moreover, national security also seems to be a reason not to enforce the FCPA as a matter of practice. Consider the BAE enforcement action. Despite the DOJ alleging conduct that clearly implicated the FCPA’s anti-bribery provisions, BAE (a large U.S. defense contractor) was not charged with violating the FCPA. (To learn more about the BAE enforcement action, see “The Facade of FCPA Enforcement ” pgs. 993-996). Consider also the mysterious conclusion to the James Giffen enforcement action. In 2003, James Giffen was criminally charged with “making more than $78 million in unlawful payments to two senior officials of the Republic of Kazakhstan in connection with six separate oil transactions, in which the American oil companies Mobil Oil, Amoco, Texaco and Phillips Petroleum acquired valuable oil and gas rights in Kazakhstan.” However, Giffen’s defense was that his actions were made with the knowledge and support of the CIA, the National Security Council, the Department of State and the White House. The DOJ did not dispute that Giffen had frequent contacts with senior U.S. intelligence officials or that he used his ties within the Kazakh government to assist the United States. With the court’s approval, Giffen sought discovery from the government to support his public authority defense and much of the delay in the case was due to the government’s resistance to such discovery and who was entitled to see such discovery. In 2010, the enforcement action took a sudden and mysterious turn when Giffen agreed to plead guilty to a one-paragraph superseding indictment charging a misdemeanor tax violation. The enforcement action ended with the presiding judge imposing no jail time on Giffen and stating that he was a Cold War hero and that the enforcement action should have never been brought in the first place. Giffen presumably prevailed over the DOJ not because of the facts or the law, but because he possessed significant leverage over the government in that he asserted his actions were taken with the knowledge and support of the highest levels of our government. Consider also the fact that there has been no FCPA enforcement actions concerning contracts at the Manas airbase in Kyrgyzstan (which the U.S. used to route personnel and equipment headed for Afghanistan). (To learn about the Manas contracts see here  for a U.S. House hearing devoted to the subject and here , here  and here  for additional information). (i) “Albert Bongo, President of the Republic of Gabon;” (ii) “Gaya House Sendirian Berhad” and entity controlled by “Datuk Harris bin Mohammad Salleh” who, during the relevant time period, was “State Minister of Industrial Development” for the “State Government of Sabah, Malaysia;” (iii) “the Washington D.C. bank account of Societe Ivoirienne de Development et de Financement” in which “Timothee Ahoua, the Ambassador to the United States of the Republic of the Ivory Coast” was secretary and signatory on the bank account; (iv) “foreign entities as conduits for the payment of funds to third parties in order to disguise the true recipients and amounts” in connection with sales of aircraft to Saudi International Airlines and Morocco; (v) the “Chief of State” of Uganda (who received a Cadillac Eldorado convertible). “In the mid-1970s one of my group’s investigations was of Grumman Corp., a major producer of military hardware. These products included the F-14 “Tom Cat” fighter jets and the E-2C “Hawkeye” surveillance aircraft, among many other aircraft and military products. While the commission’s investigation revealed a continuous and repeated series of international corrupt transactions by Page Airways, the company itself and its officers seemed an odd crew to be directing the sales of executive aircraft internationally, almost solely through corrupt transactions. The principal executives of Page Airways, James Wilmot and his brother, Gerald Wilmot, were both successful businessmen in various different business activities. They were nationally well-respected, philanthropic and very much involved in public life. James Wilmot was the chairman of the Democratic Party’s national fundraising efforts during the time that the sales transactions occurred. No one in the company had any history of the illegal or corrupt business activities. Yet, the evidence of their activities in this regard was clear and beyond question. In April of 1978, the commission instituted a civil injunctive action in the U.S. District Court for the District of Columbia. The case charged Page Airways, James Wilmot, Gerald Wilmot and four other executives of the company with participating in a broad range of corrupt transactions over a six-year period. The case not only gave specific detail of bribery transactions throughout the world, but also specified specific false reporting of the transactions in Page Airways books and records, as well as the deception of the company’s accountants, and the Ex-IM Bank. Among these activities was the sale of a Gulfstream II aircraft to the Malaysia state of Sabah. In connection with the transaction, $900,000 was paid to two Hong Kong companies that were controlled by Datuk Harris. At the time the transactions were instituted, Harris was the minister of industrial development of Sabah and later was the state’s chief minister. In a sale of a Gulfstream II to Morocco, Page Airways individuals were deceived into thinking they were paying hundreds of thousands of dollars to a well-known Middle Eastern political figure who had been seven times prime minister of Lebanon. However, while the Page Airways salesman believed they were making payments to facilitate the transaction, in reality an individual who was introduced to them as the Lebanese politician was an imposter, and the actual purpose and destination of the payment remains unknown. One of the most curious transactions was the relationship between Page Airways and Uganda. The relationship involved sales of a Gulfstream II to Uganda and an L-130 to Uganda. Significant payments were made to “agents.” In addition, when the L-130 was delivered to Uganda, it contained a silver Cadillac Eldorado convertible and a western-style gun belt with two pearl handled Colt 45-caliber revolvers for Idi Amin. Uganda was sold an L-130 (civilian version) rather than a C-130 because it was illegal to sell the military version of the plane to Uganda. Once the plane was received from the manufacturer, it was flown to a remote airbase in Florida, where the airplane was converted to the military version prior to delivery to Uganda. Page also provided ground support and maintenance for the L-130 and arranged for pilots and support personnel for Uganda’s Gulfstream II. These latter support activities were never recorded in the books and records of Page Airways and were conducted as an off-the-books business activity. Part of the support, maintenance and ground service activities for the L-130 and the Gulfstream II was provided through personnel supplied by Page Airways who were in part Israeli intelligence agents. Thus, after two years of litigation, the Division of Enforcement was approached by the CIA, which indicated that the case should be settled with Page Airways. Brief negotiations occurred with Page Airways after this intervention from the CIA, and a settlement was reached whereby the company consented to an injunction regarding filing violations and the books and records portions of the FCPA. All of the individual officers and directors of Page Airways were dismissed as defendants in the action. In addition to the injunctive relief against the company, the settlement required a monitor to assure the appropriate recording of the transactions in Page Airways books and records and appropriate disclosures. The last line of the litigation release stated that in connection with the resolution of the “Commission and Page Airways had considered concerns raised by another agency of the United States government with respect to the national interest.” This last line of the litigation release itself was a subject of negotiation with the CIA, which believed that it was important to say the “national interest” rather than the “national security interest” because if the latter term had have been used, it would have indicated that the CIA was involved. After the case was brought to a conclusion, Robert LaFramenta, the senior commission lawyer who was responsible for the case along with me, spent hours discussing possibilities of what the involvement of the CIA was with Page Airways. Transactions well could have been used to co-opt the recipients of the corrupt payments or to curry favors with those leaders. Funds involved with Saudi Arabia transactions seemed to have just disappeared. They could well have been used to fund covert activities of the CIA or of persons acting on its behalf, and finally the transactions with Idi Amin clearly provided an intelligence foothold in Uganda that was valuable. It didn’t seem curious to us at all that the raid on Entebbe by Israeli forces was carried out by a very well-informed military. 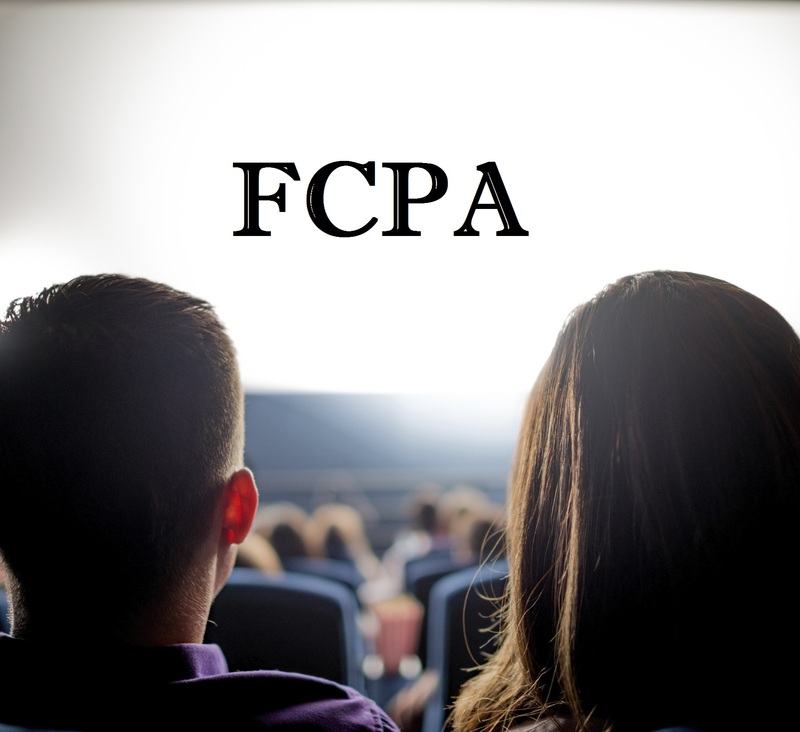 40, 30, 25 years from now, what additional information might come to light about FCPA enforcement actions (or enforcement actions never brought)? Time will only tell.